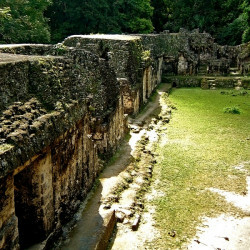 Hidden deep within the jungles of Peten in northern Guatemala where it was lost for almost 1000 years, Tikal stands alone as one of the most beautiful ancient ruins in the world. 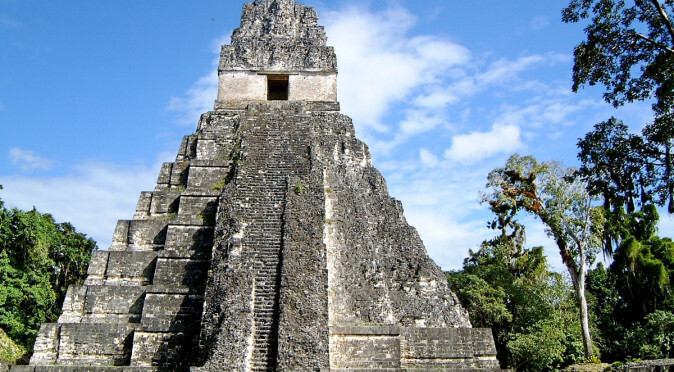 Set within a tropical rainforest reserve filled with exotic animals and birdlife, Tikal’s environment is very much alive and thriving even though the city rests silently ruined and its temples very much asleep. 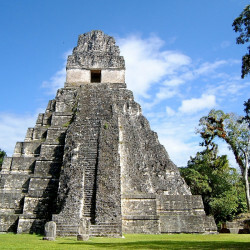 Traveling to Tikal is sufficiently difficult to save it from mass tourism and there is no nearby resort that sends coachloads of holidaymakers looking for a day out – the only people you find at Tikal have travelled long and hard to see it and tend to respect it and their fellow explorers. 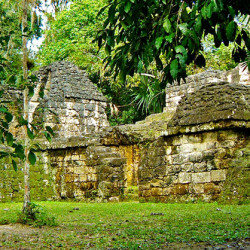 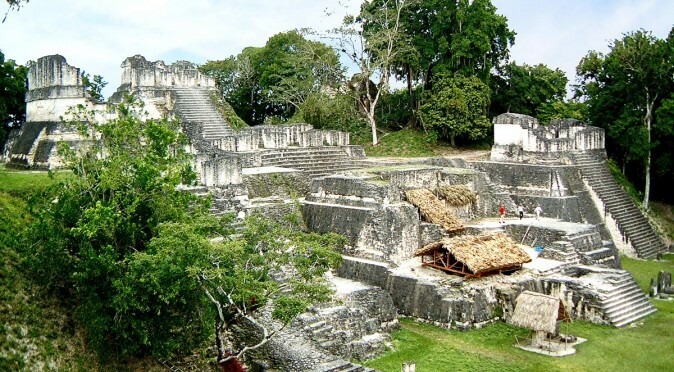 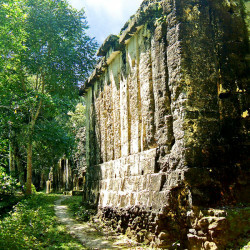 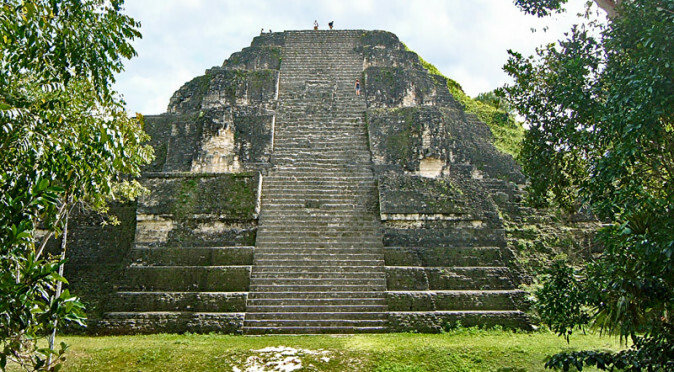 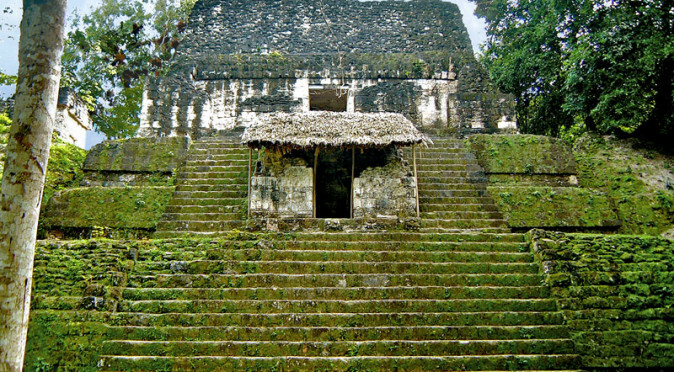 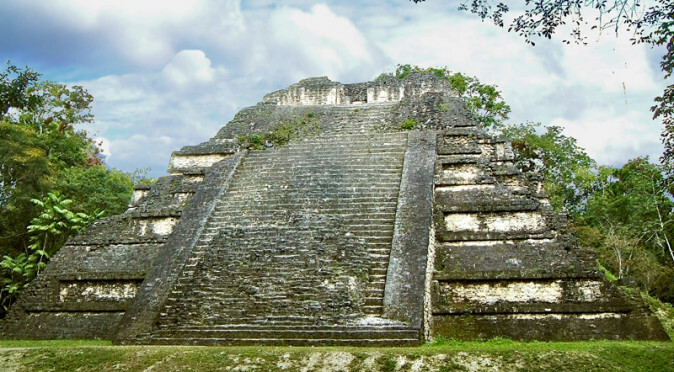 And Tikal is one of the few sites that provides the sensation of being an explorer traipsing through unkempt jungle and stumbling across ruins that have been long-lost and reclaimed by nature. 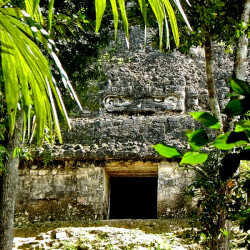 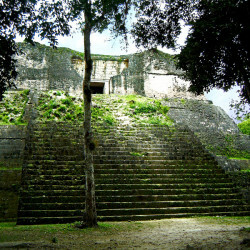 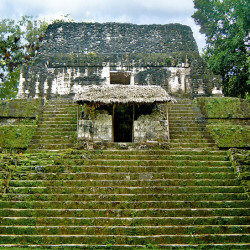 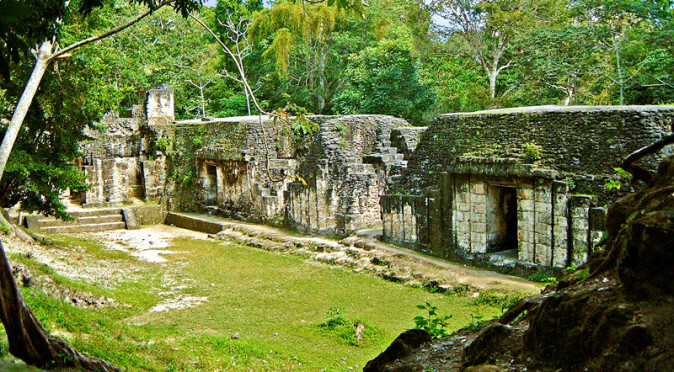 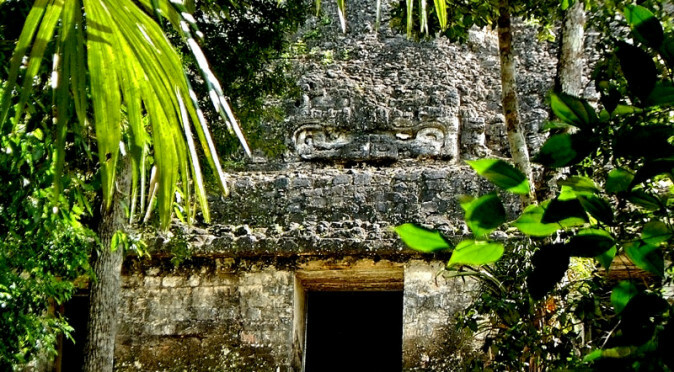 Immersed in wildlife, Tikal provides both inspiring history and the spirit of adventure. 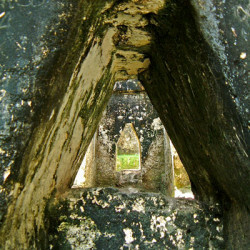 Your senses and imagination will come alive. 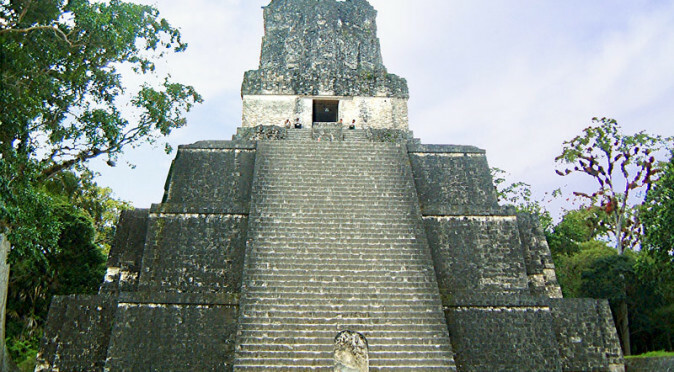 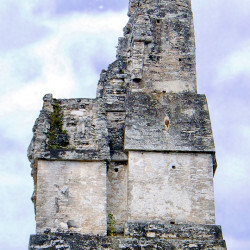 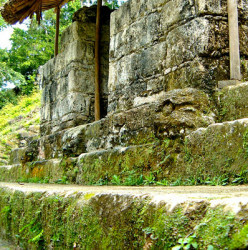 Templo ITikal is perhaps most well know for its iconic Temple 1 (the Temple of the Jaguar) which epitomises the style Mayan style of construction with its towering, 10 round-edged steep-sloping levels, topped with a stone temple and roof comb. 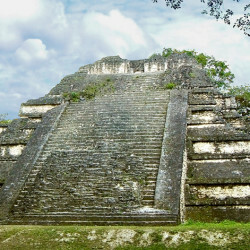 But, this is just one of a dozen monumental structures that are as impressive today as they were 1500 years ago when they were built. 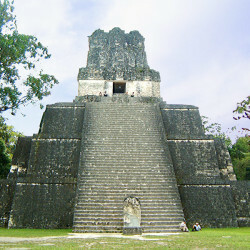 In particular, Templo II (the Temple of Masks), Templo VI (the Temple of Inscriptions), Grupo G (the Acanaladuras Palace), Structure 5D-54 (the Great Pyramid), the Northern Acropolis and Central Acropolis would individually make it worth visiting Tikal, but collectively they make Tikal one of the most complete and incredible ruins on the planet and a complete insight into how a Mayan city was laid out and functioned. 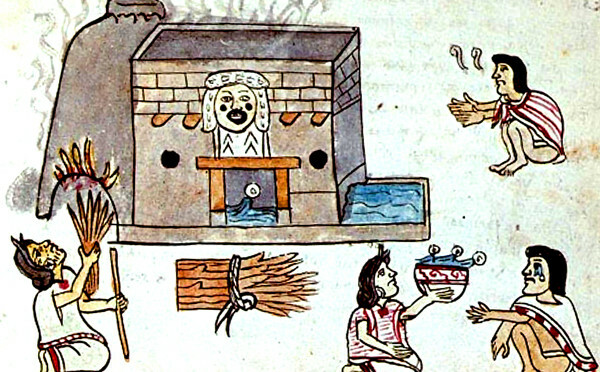 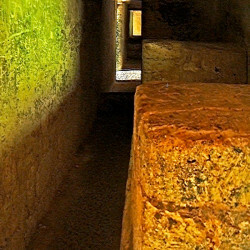 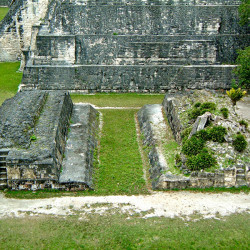 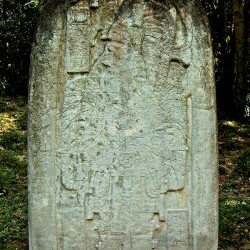 Curiously, Temple 5D-47 and Temple 5D-33 appears to have been influenced by Teotihuacan, a city almost 1000 miles away. 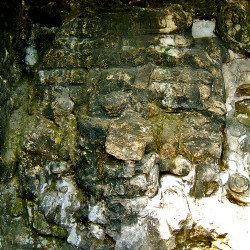 The Temple of the Skulls (Structure 5D-87) seems to share characteristics with Chichen Itza and there is also a great example of a Mayan Steam Bath that is of interest. 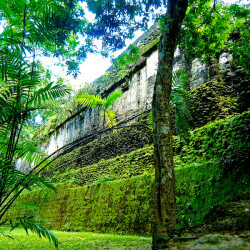 These amazing structures still make up less than half of the monumental buildings at Tikal – and on top of this, there are also huge numbers of intricately carved stelae (inscribed statues) and altars dotted around the city which describe much of Tikal’s triumphal history and its mighty rulers, all of which exhibit breath-taking artistic skill (click here to read more about Tikal’s history). 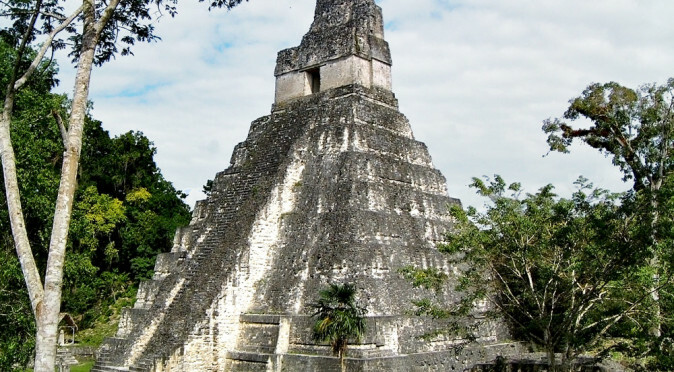 As always, it is best to get to the Tikal very early and enjoy the site alone, but at Tikal this gives you another incredible experience – the dawn chorus. 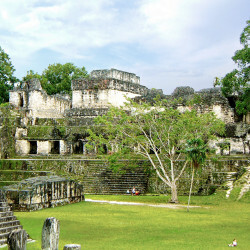 Arriving at dawn is deafening as Tikal is home to 410 different species of birds. 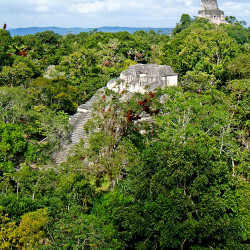 If you are used to waking to the sound of less than 20 birds, then the idea of hearing 410 species singing their happy songs (equating to several thousand birds) will be incomprehensible – so don’t sleep in and miss out! 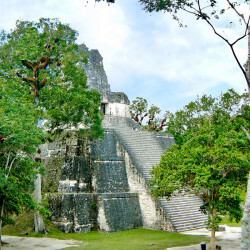 Of course, the dawn chorus does not last long, and in this part of the world it isn’t anti-sociably early either, so make the effort to get the first bus, book an early taxi or stay on site. 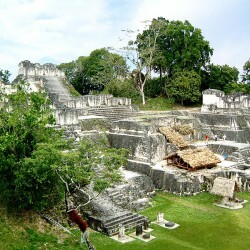 Staying at nearby Flores is probably the best way to extend the magic of visiting Tikal. 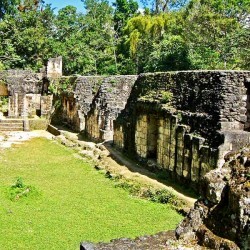 Flores is a tiny island set in the Lago Peten Itza, a short crossing from Santa Elena. 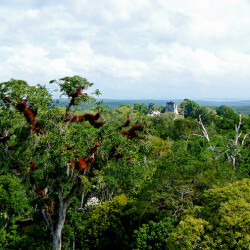 Measuring little more than 200m in length and the same width, the island is packed with little hostels, hotels, pensions and restaurants – as well as being home to thousands of birds – it is surely the smallest and most unlikely holiday island on earth! 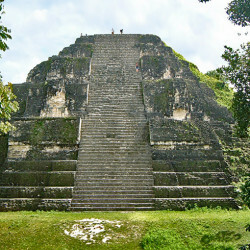 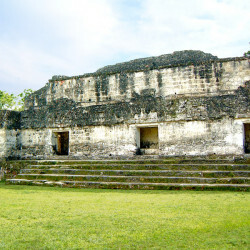 It is also a couple of hours from Tikal. 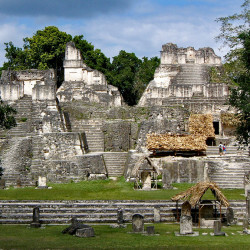 You can easily get either a cheap bus or an inexpensive taxi. 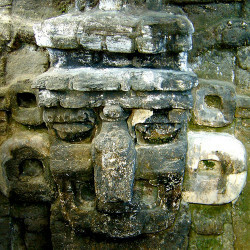 I am a 7th Grade Social Studies teacher in Vista, California, just north of San Diego. 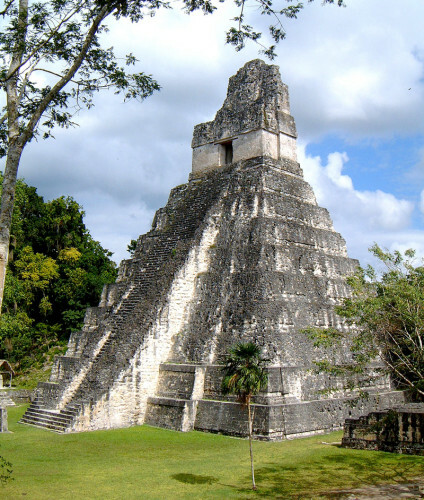 My class is studying the Mayan Civilization and have been assigned different cities in the Mayan World with one of them being Tikal. 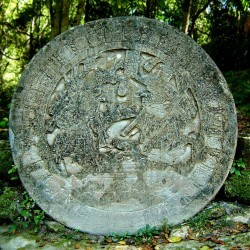 Your site is very informative and useful for the students. 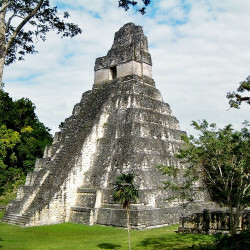 Thank-you so much for taking the time to leave a comment and I really hope your students enjoy learning about the Maya. 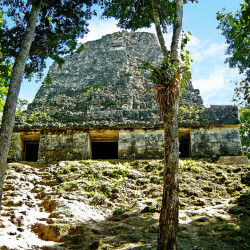 I was taught the history of the Industrial Revolution and the 1st and 2nd World Wars at school – learning about the Maya would have been soooooo much more exciting! 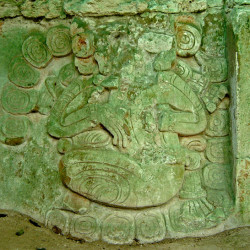 Good luck to you and all your students. 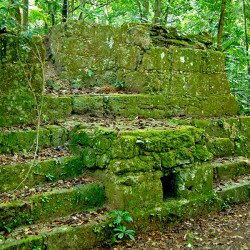 Hopefully some will go on to explore the jungle themselves and help uncover more of the history of this great civilisation!